Transportation Commissioner Margaret Anderson Kelliher joined a group of agency officials to announce the start of construction season April 4. Crews have begun work on projects that will address roads, bridges and interchanges. Additionally, Anderson Kelliher announced 66 multimodal projects, involving port, airport, railroad and transit, which will be taken on outside of the state’s road construction program. “These are critical infrastructure projects that are going to help Minnesotans that are going to repave our roads, mean a smoother ride, more safety for the drivers and everyone else who’s interacting with the roadway,” Anderson Kelliher said. Today marks the 2019 construction kickoff! In addition to hundreds of state highways, MnDOT’s work will extend to interstate routes. Sue Mulvihill, deputy commissioner and chief engineer, said the construction schedule will involve work on two major routes, interstates 90 and 35. I-90 runs east-west across Minnesota’s southern border. 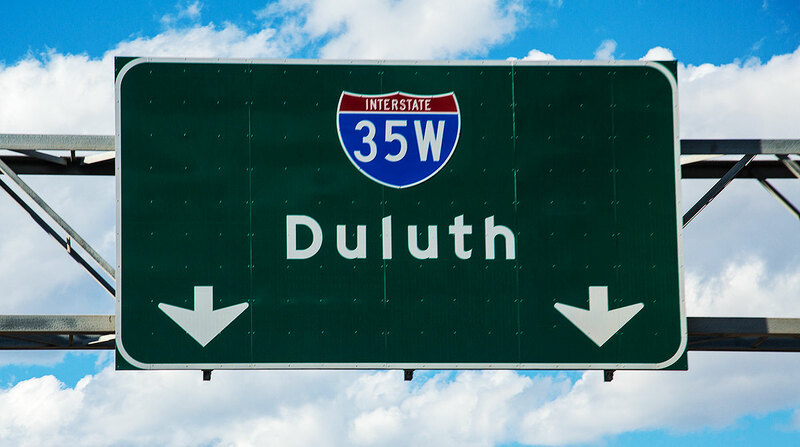 I-35 is a north-west route that passes through Minneapolis and terminates in Duluth. I-35 bifurcates in the Twin Cities area, splitting into I-35 West and I-35 East. The segments reunite about 26 miles north of downtown Minneapolis. Mulvihill recommended that travelers rely on the agency’s 511 website and app to anticipate how long trips will take. Some 76 projects will be taking place in the Twin Cities area this year, according to MnDOT Construction Engineer Michael Beer. Although he said these projects will result in better road surfaces and reduced congestion, he acknowledged that construction sometimes will mean difficult travel routes for commuters and distributors. Key projects in the Twin Cities area include replacing the span and raising the grade of the I-35 West Minnesota River Bridge, rehabilitating bridges and pavement, adding lanes to I-35 West and I-94 at their intersection, and ramp reconstruction at the intersection of interstates 694, 94 and 494. Beer said improving the curves at the I-694/94/494 interchange will prevent truck rollovers, which has been an issue. Minnesota Trucking Association President John Hausladen said this project in particular will be positive for the trucking industry because it will improve safety. Although Hausladen said he is pleased with MnDOT’s 2019 plan, he acknowledged that its short-term effects will be a strain for freight haulers. He noted that most of the major truck routes in the state are scheduled for some construction work. “In the short run, getting around the greater Twin Cities area will be miserable for truckers and car drivers alike,” Hausladen said. During the kickoff event, Anderson Kelliher held up a copy of the American Society of Civil Engineers’ report card for Minnesota’s infrastructure, on which the state earned an overall C grade. Roads earned a D+, the poorest score on the card. MnDOT anticipates a deficit of $18 billion in funding over the next 20 years, which will stymie the agency’s asset management efforts and ability to plan for projects that can meet the needs of the state’s population. Anderson Kelliher noted that projects generally take about 20 years to move from initial planning stages to getting placed on the list of approved construction projects. The agency sustains a list of about 500 projects that are “waiting in the wings” for the necessary funding to get started. Anderson Kelliher praised Gov. Tim Walz’s funding plan, which proposes a 20-cent hike to the state’s fuel tax rate over two years to raise money for transportation projects. Minnesota’s current excise tax rate is 28.5 cents per gallon for gasoline and diesel. Anderson Kelliher pointed out that other states also have turned to tax hikes, including Ohio, where legislators recently approved a 10.5-cent increase to the fuel tax.